Let us inspire you with our pick of what's on around Hong Kong this week, 1 February 2019! Planning for the week ahead? 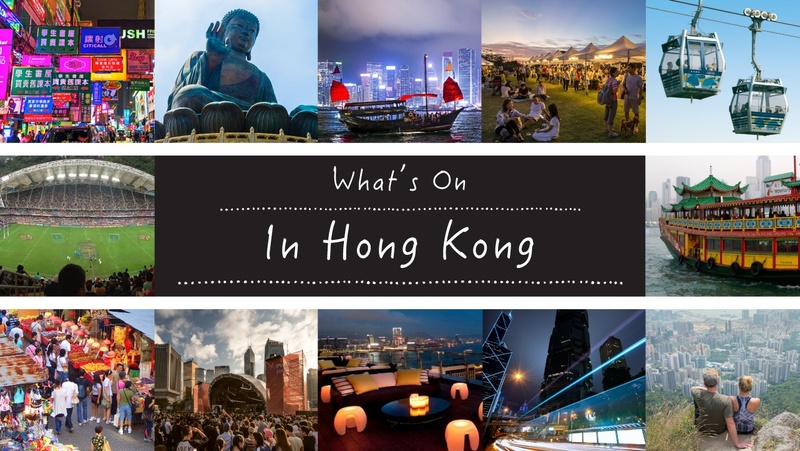 Let us help with these highlights of what’s on in HK this week 1 February 2019. Want more? Check out our comprehensive what’s on guide with full listings for the months ahead here. Indie legends, Teenage Fanclub, will be making their long overdue live debut in Hong Kong. They’ve gone from scrappy indie underdogs, through band-most-likely-to, eventually arriving at the status of one of Britain’s most beloved cult bands. The official RuPaul’s Drag Race World Tour makes its first ever stop in Asia! Hosted by celebrity judge Michelle Visage with sickening performances by Season 10 finalists Asia O’Hara, Eureka O’Hara and Kameron Michaels, along with fan favourites Detox, Kim Chi, Sharon Needles and Violet Chachki. Known for its lively atmosphere and enthusiastic crowd, Fini’s SoHo promises to be the prime spot to take in Super Bowl LIII while enjoying a lip-smacking assortment of food. Kickoff your NFL Super Bowl LII celebrations with a huddle at Te Quiero Mucho! The game will be broadcasted live while you enjoy items from TQM’s breakfast menu or a variety of Mexican favourites such as their chicken nachos as well as a two-hour free-flow package. The AIA Carnival is once again returning to Hong Kong, celebrating its 5th anniversary. In addition to a wide variety of rides, installations, selfies boards and both street and stage entertainment programme’s, The Great Circus of Europe will be returning as will celebrity chef Christian Yang to oversee the carnival food. Bodinker is running a special competition to design a pig tattoo. competition is open for everyone and there are two categories: youth & adult. They will be accepting drawings, paintings, illustrations and mixed media works with the two winning designs being made into Bodinker Tattoos. This class is ideal for beginners who are interested in learning the basics of macrame. You will learn a variety of different knotting techniques that will give you the basic knowledge to create a fabulous macrame market bag. Europe’s largest circus is returning to Hong Kong with an all new spectacular show. Every act will be appearing in Hong Kong for the very first time. Ring in Chinese New Year throughout January and February at Hong Kong Disneyland Resort. A motley crew of storytelling musicians bring Oscar Wilde’s classic fairy tales to life in Tall Stories’ magical new show, direct from London’s West End. Expect a colourful and noisy spectacle with floats, lions, dragons, drummers, dancers and fire crackers. Tickets for the viewing stands at the Hong Kong Cultural Centre sell out fast (they go on sale 26 January) but you can view anywhere along Canton Road, Haiphong Road and Nathan Road. Check out the Hong Kong Tourist Board website for more info. Where: Starts at Hong Kong Cultural Centre and proceeds along Canton Road, Haiphong Road, Nathan Road. The city will go all-out to produce a stunning CNY firework display and you can view from anywhere along the harbourfront, get there early to secure a good spot, or head to one of these restaurants and bars with great views. > Who needs Valentines when we’ve got Galentines!